Tokyo Ghost Issue #10 page #18 by Sean Gordon Murphy. 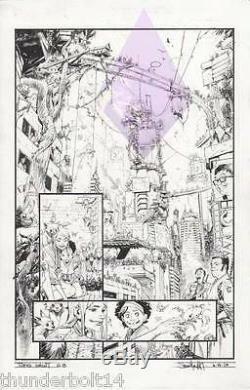 Original published artwork to Tokyo Ghost #10 page #18 by Sean Gordon Murphy. Page is 11x17 and comes signed by the artist. Comes directly from the artist. Check out my other items. The item "Tokyo Ghost Issue #10 page #18 Original Artwork by Sean Gordon Murphy" is in sale since Wednesday, August 31, 2016. This item is in the category "Collectibles\Comics\Original Comic Art\Splash Pages". The seller is "thunderbolt14" and is located in Springfield, New Jersey. This item can be shipped worldwide.